In Gear! Men's Handmade Soap Home | About Us | Opportunities | Sponsorships | Contact Us! Last week I had the pleasure of experiencing two men’s handmade soap bars from the popular Elegant Rose Boutique shop on Etsy. 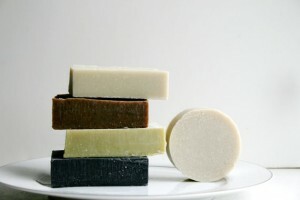 Men tend to be pickier about their soap than we commonly think, and this shop goes above and beyond in ensuring that the performance, scent, lather, cleansing effect, and price are all just right. This week I’d like to tell you what I think of these soaps from the Elegant Rose Boutique shop, and tell you which one is my personal favorite! I am starting my review with my personal favorite. 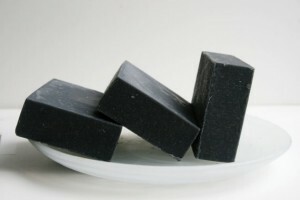 I had never used an activated charcoal soap before even though I’ve had many people recommend them over the years. Charcoal is known for its ability to draw toxins from the skin, balance pH, soak up excess oils, and exfoliate an a really gentle way – and I’d have to say all of that must be true! The handmade Activated Charcoal Soap Bar from Elegant Rose Boutique created an amazing lather that was hydrating and smooth, and it also got underneath my beard down to the skin which is a really soothing benefit for men with facial hair. The fragrance is extremely mild. It’s clean, light, and neutral which is exactly what I like. This men’s handmade soap is made from all natural ingredients that include coconut oil, organic sustainable palm oil, olive oil, organic shea butter, activated charcoal, and some amazing essential oils. The bar size is extremely generous for the super low price. 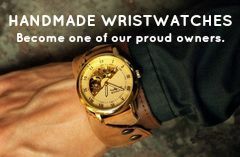 One of the perks we get from supporting artisan creations is that we tend to get a lot more for our money because the maker does what they do for more reasons than profit. I was not able to find a high quality, all natural activated charcoal soap bar in this size at any local health shops for anywhere near the same price point, even with shipping! If you like a truly sensory experience when you clean up, this soap is for you! 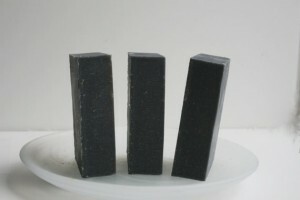 Imagine fresh citrus meets the cleaning power of gentle pumice and you’ll have an idea of what this great soap is like. Named after the famous John Wayne flick, True Grit could clean any cowboy (or cowgirl) and leave them feeling totally refreshed! 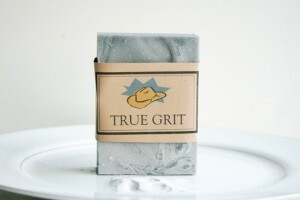 The True Grit bar is meant to tackle a dirty job, so it is abrasive. The good news is that the abrasiveness comes from natural pumice meaning that it’s gentle and easy to use on even the most sensitive skin. For men who have facial hair, this bar is a real blessing. It gets down to the base of the hair and provides instant relief for itchy, dry under-beard skin. This all natural bar is made from ingredients like coconut oil, olive oil, shea butter, castor oil, and a variety of enlivening essential oils. As you can probably tell I have become a huge fan of this shop and their creations. I love the activated charcoal soap and will be adding Woodland, Three Kings, and Bay Spice when I make my order. I think that the right soap is so important. It helps us feel clean and fresh while adding to how healthy our skin looks and feels. I enjoyed everything I sampled from Elegant Rose Boutique and am an official loyal fan! A big thank you to Melissa from Elegant Rose Boutique for her support of Handmade Men, and for creating such amazing products for guys! Tagged Activated Charcoal, Bay Spice, Elegant Rose Boutique, in gear, review, Three Kings, True Grit, Woodland. Bookmark the permalink. Home | About Us | Opportunities | Sponsorships | Contact Us!